Hardwood flooring is gorgeous and extremely durable, with lifespans of half a century and greater not at all uncommon. With such a reputation for toughness, it would seem that hardwood floors are impervious to any manner of abuse that homeowners can dish out. But hardwood flooring's long-lasting nature is dependent on you, the homeowner, treating it with the proper care it deserves. Understanding the things that prematurely ruin hardwood floors is the first step to maintaining them and keeping them beautiful for decades to come. Water and wood do not mix. Hardwood floors are an organic product and their cellular structure responds immediately to the introduction of water. Swelling and decay eventually follow. The problem is not so much with the surface of the floor since this should be sealed, as with the unsealed raw wood of the sides and bottoms of the floorboards. At the most, you should only use a very dry damp mop, thoroughly wrung out. Most flooring experts, though, recommend that you never use any kind of water on the hardwood. Instead, clean your hardwood floors daily with a soft-bristled broom and dustpan. Weekly, clean with a vacuum that is designed for hard flooring as well as for carpeting. If you decide to clean your hardwood with liquids, mist lightly with a cleaner formulated specifically for hardwood floors. Since steam is water, keep in mind that steam cleaning hardwood can be damaging, too. Wet-mopping isn't the only way that liquids end up on your hardwood floors. Dishwashers leak, kitchen sinks splash, kids tramp through in rain boots, dogs shake off water, drinks spill. And that's just the start of it. When liquids spill in small quantities and remain within the confines of a single floorboard, clean-up should be done soon but it isn't a cause for alarm. When spilled liquids bridge floorboards, though, it is possible that these liquids can leak through the seams and between the floorboards. Site-finished wood flooring (floors that are first installed, then sealed) have a lesser chance of damage since sealant has filled the seams. But pre-finished wood flooring, which is being installed in far greater numbers today, does not have filled seams. We love our dogs and cats, but our hardwood floors do not love them. Some of the deepest, longest, and most plentiful gouges in wood flooring come from dog claws and, to a lesser extent, cat claws. Installing hardwood flooring that ranks high on the Janka hardness scale is one way to begin. Species like Brazilian Walnut (ipe), maple, and bamboo (not truly a wood but a type of grass) do an excellent job at standing up to frenzied claws. Lay out mats and rugs where animals tend to rest. Regular claw clipping, though, is the best way to reduce nail damage on flooring. Don't put all of the blame on the family pet. Also remember to protect against other sharp, pointy objects, such as high heels and furniture legs. It might be time to start better enforcing that policy you have about no shoes in the house. Outside debris tracked in with shoes or paws deposits itself on your gleaming hardwood flooring. Left in place too long, abrasive materials act as a kind of sandpaper, slowly abrading your flooring's top coat. Every box that gets slid across the floor further dulls that top coat and brings you closer to the next refinishing or re-sanding. 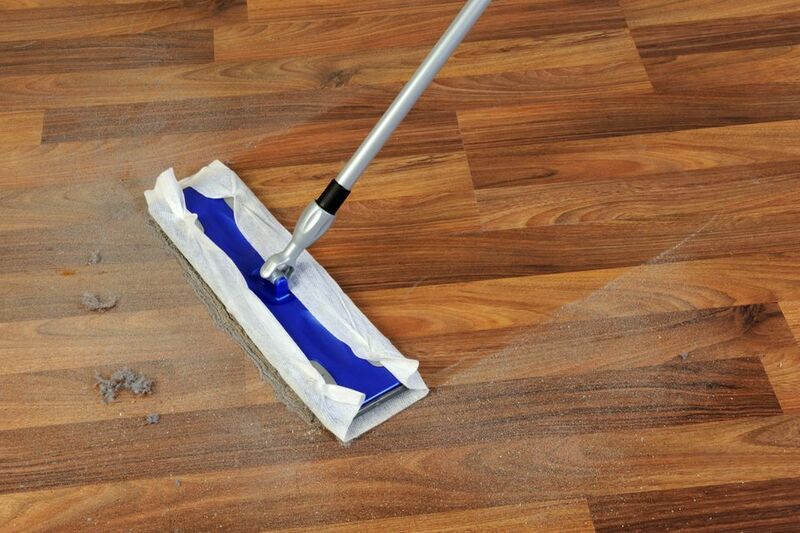 Sanding your wood floor, while a great way to revitalize it, should not be a frequent event. Hard sanding with a drum sander rips off the top coat, plus a fair amount of the wood itself. Too many drum sandings can weaken floorboards. In fact, if you have engineered wood flooring, you should never use a drum sander, as it can chew through the thin top veneer layer down to the plywood base. Laying down runners, mats, and area rugs all throughout your hardwood floors defeats the purpose of having hardwood. You want to be able to enjoy the deep, rich luster of authentic wood flooring. At the same time, every home has certain zones that bear the brunt of most foot traffic, and these zones should be protected. Entryways and mudrooms that lead to the exterior are at the top of that list. Second are interior hallways, plus specific areas of larger rooms such as kitchens and living rooms that receive pass-through traffic. By laying down attractive runners and no-slip rugs, you go a long way toward slowing down the wear and tear on those highly trafficked areas. In kitchens, lay down mats in front of the kitchen sink and dishwasher to capture spills, as well as to provide a comfortable surface for standing. Boot trays and small mats just inside doorways encourage people to leave their footwear and mess at the door.